Really Understand Climate Change, Use Greener Products, Adopt a Tree, Save Water, and Much More! 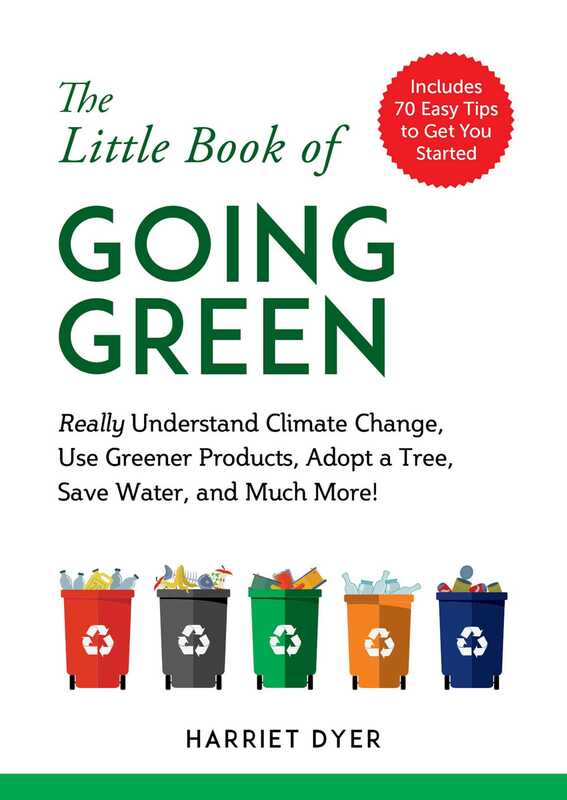 The Little Book of Going Green aims to shed light on the ways humans are harming the environment, from pollution and deforestation to industrial production and farming methods. In addition, Dyer explores how we can easily practice sustainability and conservation on both individual and corporate levels, creating habits at home that we can then bring to our workplaces. How can we reduce plastic waste in our homes? How can we reduce our carbon footprint in the office? Filled with facts, theories, and tips on how we can do our bit for the planet, this is your one-stop guide to making every aspect of your life earth-friendly. Harriet Dyer is a freelance writer and editor with a passionate interest in environmental and women&rsquo;s rights. She&rsquo;s also the author of The Little Book of Feminism and From Ace to Ze. She resides in London, England.